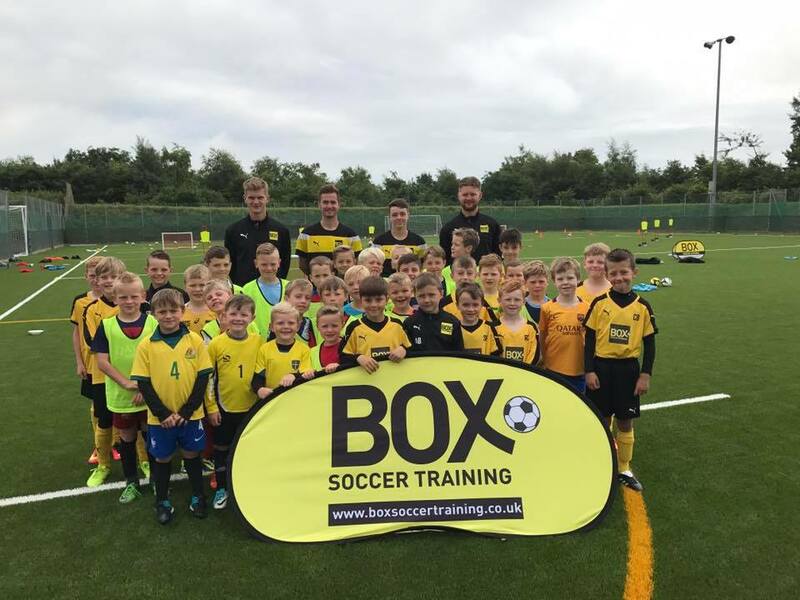 Intensive, but fun, days or week with Box Soccer! 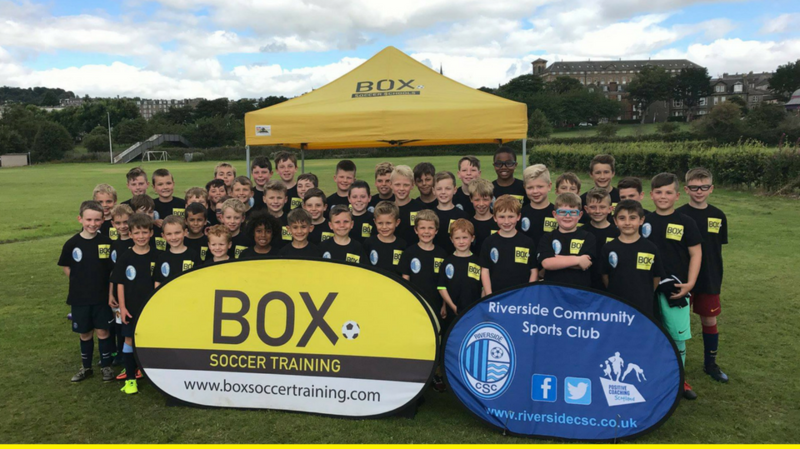 We have run day camps to football clubs, professional academies, birthday parties, summer and easter camps, corporate companies, private schools – you name it we can do it! A day camp will typically be split into two sessions – the morning and afternoon where two main focuses will be decided. The drills will be set up for example working on the Ronaldo chop, and then a follow session will be completed working on the skill in match situation. Busy days with lots of training and lots of fun. 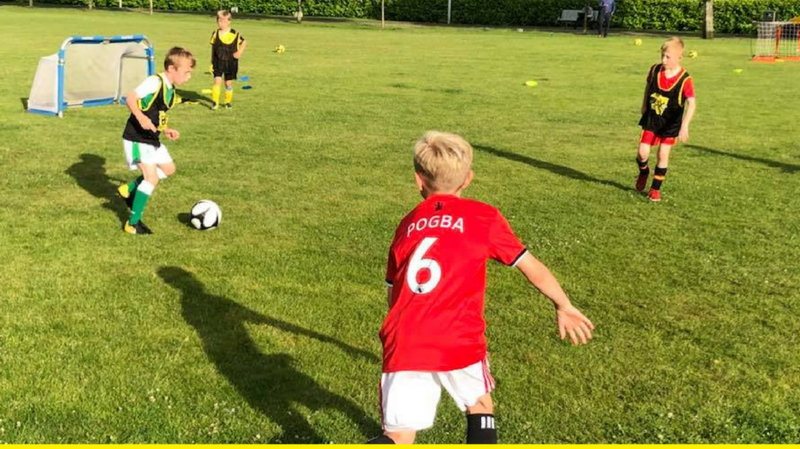 During our week camps, each day will be themed around a star or an event such as the World Cup and their patterns of play for example. Each player that attends the camps will be given a gift and will also be entered into our giveaway of a pair of boots. Daily downtime, games and self-coach sessions also take place. Friday is always the tournament conclusion! 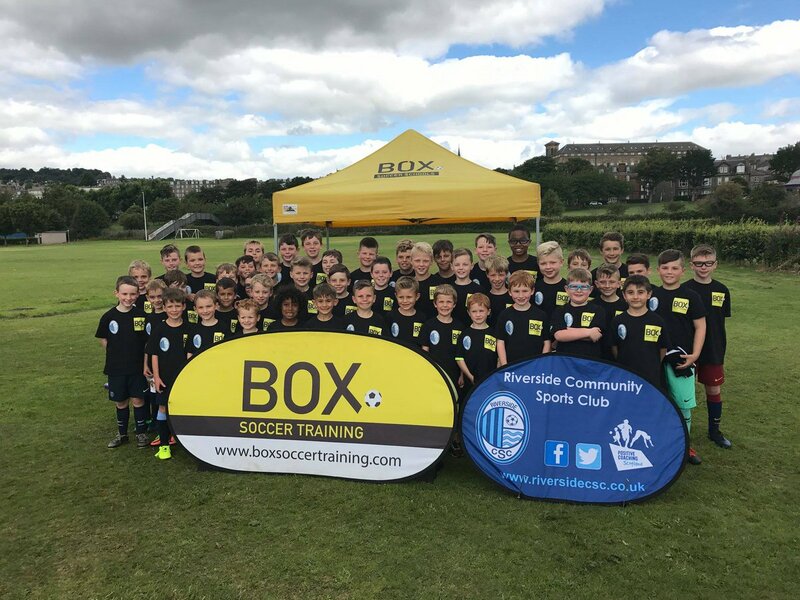 Summer 2018 has been the busiest summer we have ever had for Camps. 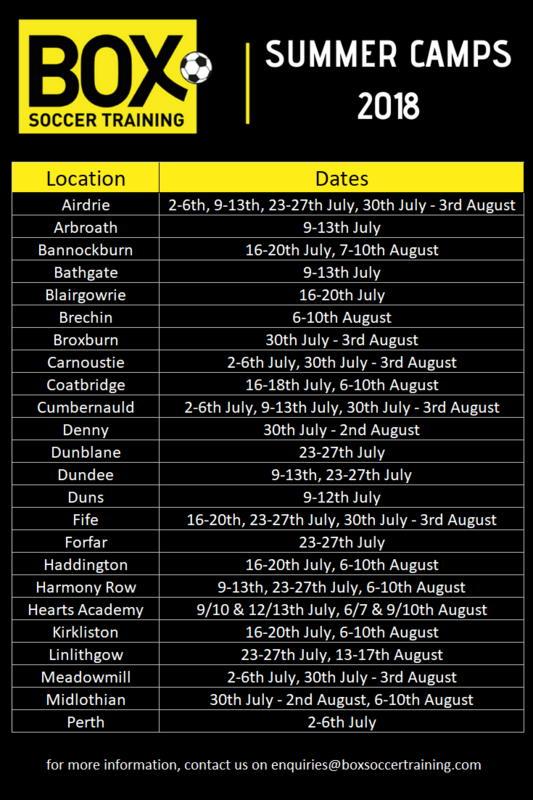 Airdrie, Arbroath, Bannockburn, Bathgate, Blairgowrie, Brechin, Broxburn, Carnoustie, Coatbridge, Cumbernauld, Denny, Dunblane, Dundee, Duns, Fife, Forfar, Haddington, Harmony Row, Hearts Academy, Kirkliston, Linlithgow, Meadowmill, Midlothian, Perth. Thanks so much for a great 2 days of the summer camp. Tommy and Charlie loved every minute. The event was very well organised and excellent coaches, the boys got so much out of it! from learning skills, meeting players and having tournaments and more. Thanks. 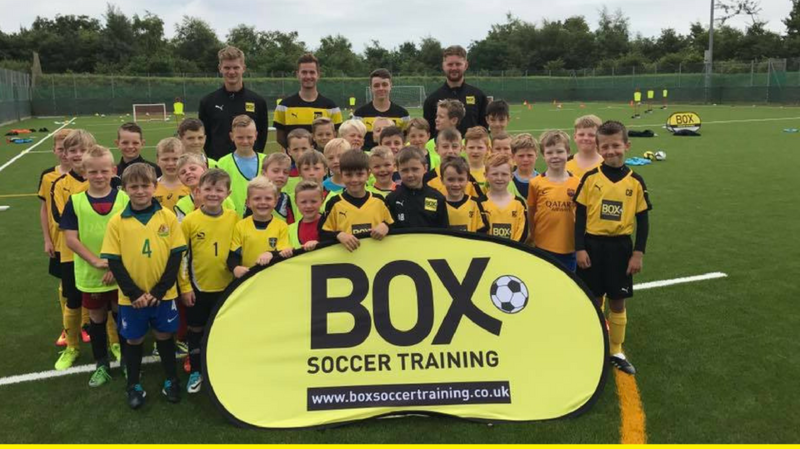 My son was up for the whole week and loved every single minute from start to finish all the coaches was excellent and great with all the kids nobody was ever left out very well ran and worth the trip up from berwickshire. WE WILL BE BACK.